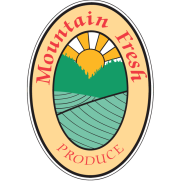 More information about our fresh produce vendors can be found at Maryland's Best. A comprehensive list of local foods and farms in and around Garrett County can be found at Garrett Farms. Applications are being accepted through April 1 for the 2019-20 season. Download an application below, pick one up at the Extension Office, or call 301-334-6960 for a mailed copy. The member meeting will be held Tuesday, March 12, 2019 at 7:00 pm at the Extension Office.